In our age of e-books, old fashioned print sales are suddenly on the rise again. One big reason is adult coloring books. According to a recent report from Publishers Weekly, the craze began early last year and has been soaring ever since. Today, half of Amazon’s top 20 best sellers are all adult coloring books, and virtually every publisher in the industry has an offering. Why is coloring suddenly so popular? According to Andrea Joy, 42, a mother of two who bought her first adult coloring book last fall, the hobby gives her an easy opportunity to do something she already enjoys: playing with color. I like that someone gives me the design. I don’t have to be good at drawing. Anyone can color. Unlike the children’s versions, which typically feature characters from movies and television, adult coloring books focus more on design and detail. Imagery ranges from kaleidoscopic patterns to nature scenes to mystic and enchanted realms. A book released last October titled “Lost Ocean” is filled with dream-like drawings of life beneath the sea. Images include mermaids, fantastical fish, and underwater castles that practically beg to be colored in. The book sold over 55,000 copies in its first week, according to Nielsen BookScan. Adult-themed coloring books have actually been around for decades, but they’ve never had anywhere near the following they enjoy today. Because it involves filling in the lines of predetermined images, coloring books are typically considered a lowbrow form of art making. However, the form also has an undeniable appeal: it provides a safe, low-risk space to exercise some creative expression. The adult coloring trend has even attracted some high art approval. Several museums across the country and around the world are now offering PDF coloring books online featuring famous pieces from their collection. Search for #colorourcollections to find many designs throughout art history in coloring book form. Adult coloring books are frequently advertised as a form of art therapy, but not everyone appreciates this marketing strategy. Art therapists in particular take issue with the trend using the same name as their professionally licensed treatment method. 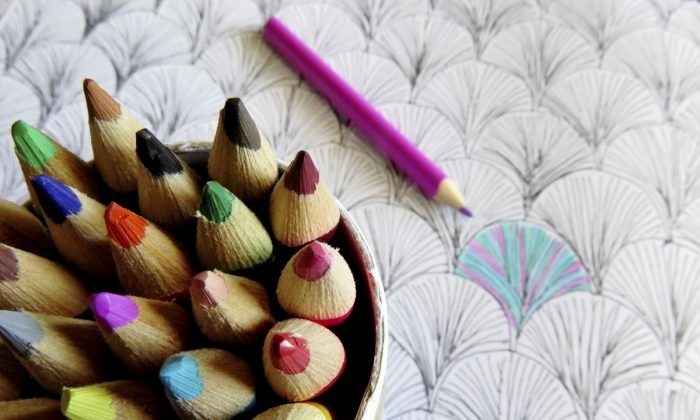 While coloring may be a pleasurable hobby, it falls far short of the guidance a trained therapist can provide. In response to complaints, one publisher, Dover, recently changed its marketing language. The adult coloring book portion of Dover’s website now has a link to the American Art Therapy Association (AATA) to encourage consumers to learn more about genuine art therapy. Although it may seem like a semantic issue, Dr. Donna Betts, professor of art therapy at George Washington University and president of the AATA, applauds Dover’s move and encourages other publishers follow suit. She offers a terminology suggestion for companies seeking a more appropriate hook. Betts’ hunch as to why adults are currently gravitating toward coloring books is that it allows them to take a break from the virtual world of email and text messaging, and engage in a more hands on activity. “From an art therapy perspective, working with clay or painting is much more tactile, but coloring with a pencil is still a step away from tapping messages on your phone or computer,” she said. Despite the dispute over terminology, Betts says that the coloring book trend has actually served to bring more awareness to the practice. 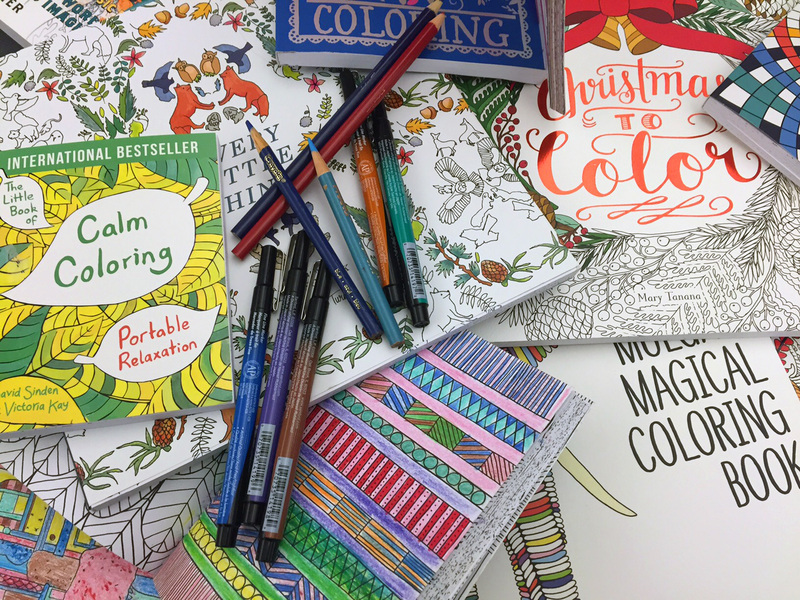 While it’s a stretch to call coloring books “art therapy,” they may still benefit our mental health. Dr. Carl Jung thought so. The pioneering Swiss psychiatrist urged his patients to color in mandala designs as a way to open up the subconscious mind. Once Joy finishes coloring an image, she snaps a picture with her phone, and uploads it to a Facebook page where other colorists—people from all across the country—share their work. She says her husband now colors more than she does. And her children, who left their own coloring books behind years ago, are picking up the colored pencils again.